So I have been listening to DCB- Remedy a lot since I got it, and I am really diggin’ “O For A Thousand Tongues to Sing”. This is one of the hymns that I really love. But I love that the chorus that they added to the song. I love hymns, and I love when groups like DCB cover hymns and make them more modern, and expand on them. I think it just really gives depth to the worship service. And I hope that worship bands continue to revitalize the hymns because they really are spectacular pieces of theology and worship. Well It’s friday afternoon, and I really don’t have much to write about. Camp is pretty much in the bag. Work is pretty dead, and I have .5 hours left until I get to go home. Tonight I will be going to a Worship Concert by my friend Chris Ritchie. Chris and I were in a band together and you can read about it here. Planning on this evening has brought back a lot of memories about the band and traveling and playing with the band and other bands. Those were good times. 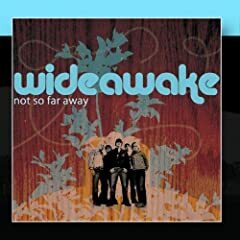 One of my favorite groups to play with was wideawake. These guys a awesome, and if you are looking for good music on itunes go get these guys. They’re great. It’s cool to see how well they’ve done. We played shows together where they couldn’t even give us gas money, and now they are rockin’ the austin scene pretty hard. They’ve even released a single to benefit the LiveStrong Foundation. You can read about it on their site, but that song was played when Lance Armstrong appeared on the tonight show. Pretty cool, pretty cool. The first time I saw Wideawake we were playing at a Christian Battle of the Bands. They were called Common Thread back then. They were definitely the best group there. So from Dightmans Book Store in Tacoma to the WB, MTV, and Livestrong, it’s been a journey for them and I’m excited to see where they end up.